The Pomeranian Duck is a breed of very rare waterfowls, developed as a crossbreed in Germany. 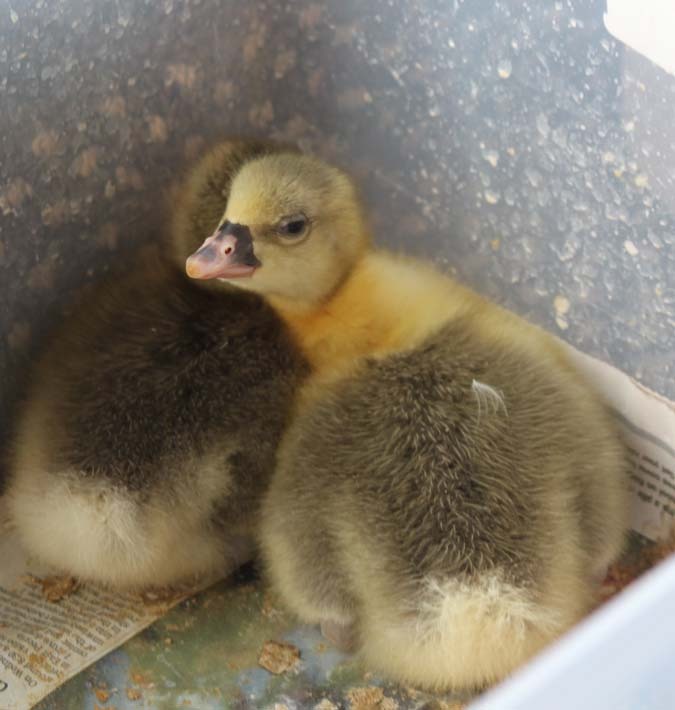 Known for its good looks and shimmering hues, this is a light duck breed that was primarily developed for both meat and eggs, and also as a pet breed. However, at present, they are mostly used for ornamental purposes, and are ideal as for domestic gardens and ponds. The Pomeranian Duck originated in the region of Pomerania in the Baltic Sea coast region in Germany. This duck was developed to serve dual purpose, that is, for both meat and eggs. Just like a few other northern European duck breeds like the Swedish Blue duck and the Shetland duck, the Pomeranians too share the same ancestors. 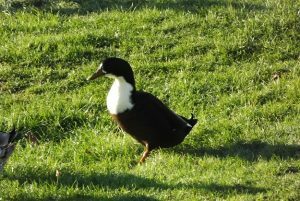 The Pommerns are landrace ducks, and at present, they are mostly found in the domestic gardens, farms and poultries of the north-eastern Europe on the border of Germany and Sweden. The Pommerns are classified in two recognized colors – blue and black. While the blue variety is more common, it is also particularly eye catching with its light blue feathers and a white bib on the upper part of the breast. The black variety also displays the white breast, but has an amazing green sheen all over its black body. However, a rare, but unrecognized, brown variety is also found. Pomeranians are average to good egg layers, and lay around 80-100 eggs per year, each weighing about 80-90 grams. The color of the egg is either white or slightly greenish. 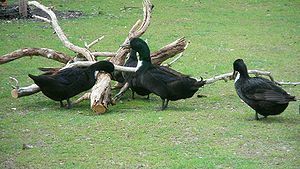 The Pomeranian duck meat is a popular delicacy, though they are mainly bred for ornamental purposes at present. The cooking style of the Pommern is also very traditional. Before cooking begins, the duck must be properly basted in water, so that the water gets completely evaporated, while the fowl is then roasted in its own fat. The roast procedure of cooking the Pommern’s meat makes it even tastier and aromatic. The bones are removed, and it is then either served hot as a lunch or dinner dish, or as a cold snack. The meat is tender, and can easily be divided into portions or cut into small slices. With duck meat dishes being almost a century’s tradition in Pomerania, the Pommern ducks are often served during holidays and several occasions. 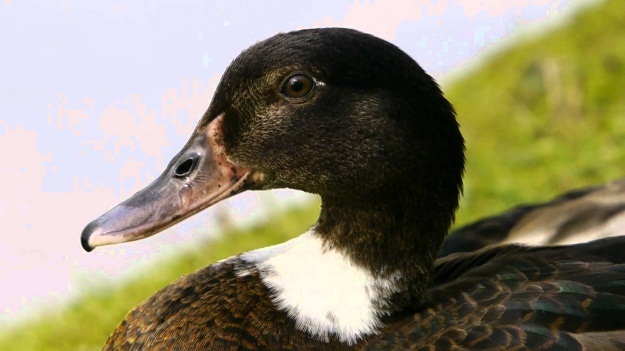 A few strains of these birds produce specimens displaying minor indications of knobs under the beaks, which indicate that these ducks are crossbred. Inreresting, the Pomeranian Ducks welcome visitors by quacking loudly. This trait makes them superior watch birds.